Homeopathy is a popular type of medicine in India. It is recognized by the Indian government, which has set up the Central Council of Homeopathy to help educate physicians and regulate its practice. After allopathy and Ayurveda, homeopathy is the third most popular form of medical treatment in India, with over 200,000 registered homeopathic doctors. Homeopathy is based on the "law of similars," also known as "like cures like." Another way of stating this principle is that a substance that makes someone sick in large doses can treat those same symptoms when small quantities are used in homeopathic medicines that are highly diluted. In homeopathic medicine, a dilution of coffee might treat an inability to sleep at night. The more dilutions homeopathic medicine goes through, the more effective it is thought to be. The ingredients used are agitated as they are diluted, and the interactions between the ingredients and a water-alcohol mix create tiny nanostructures that are present in the medicine after dilution is complete. These nanostructures are thought to be what makes homeopathy effective. 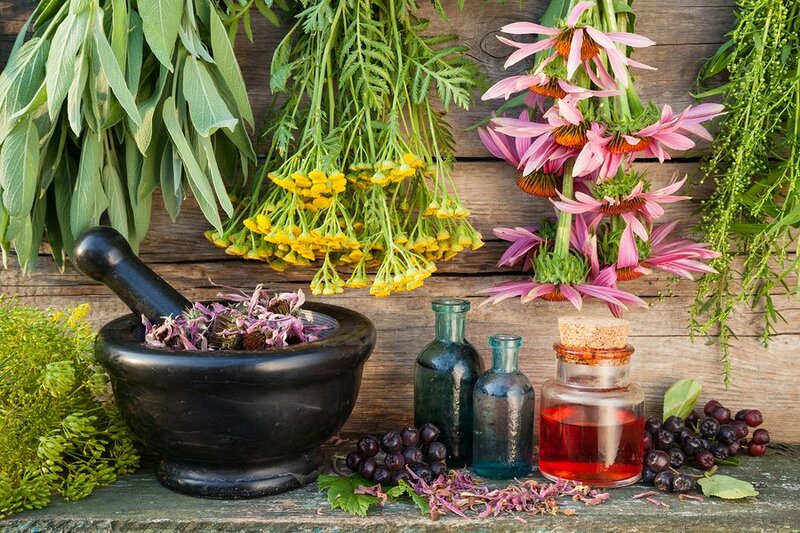 Homeopathic treatment is individualized to each person's health history and profile, including physical, mental and emotional state, as well as the person's lifestyle. Doctors try to find one medicine that will treat all of the person's symptoms. Although homeopathy is widely recognized in India, it is a controversial form of medicine. Many scientists criticize homeopathy and say that it has no scientific basis for any effectiveness. Some homeopathic dilutions don't actually contain any molecules of the active ingredient used because of the extent of the dilution. Some clinical trials have shown positive results, which scientists claim are a result of the placebo effect. Despite scientific skepticism, there are more than 600 makers of homeopathic drugs that supply patients in India. In 2010, the homeopathic market in India was about $419 million, and demand is growing at a rate of 25-30% annually, according to Asian Review. Natural remedies and homeopathic treatments are popular in India. Part of the attraction to homeopathy is that the ingredients used are natural and not chemicals and drugs. Indians seem attracted to natural remedies to treat their health conditions. One such natural remedy is noni, a tropical fruit grown in India, Polynesia, Australia and Hawaii. While noni is commonly used as a remedy for dysentery and asthma in India, the fruit has been used to treat many different health conditions including high blood pressure, diabetes, immune disorders, and skin problems. Studies show that noni contains several beneficial chemical compounds including sterols, glycosides and scopoletin, among others. Several clinical studies have tested noni's ability to shrink or heal cancerous tumors, with positive results with test tubes and mice. Human trials are currently being conducted. Noni has been shown to help with skin redness and even improve scalp conditions so that hair loss can be stopped or even reversed. Biconi offers skin and hair products that contain noni as a way to reveal healthier skin and help hair regrow.